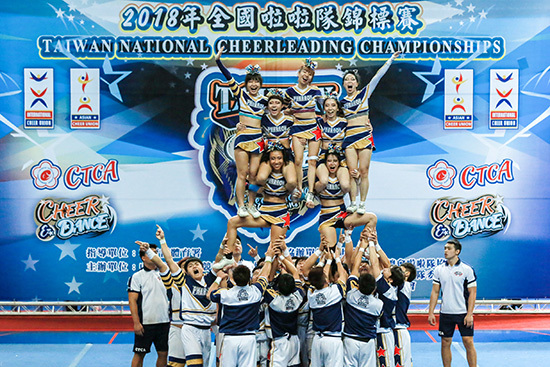 The Southern Taiwan University of Science and Technology Athletic Cheerleaders participated in the 2018 National Cheerleading Championships and won first and second places with their amazing performances. 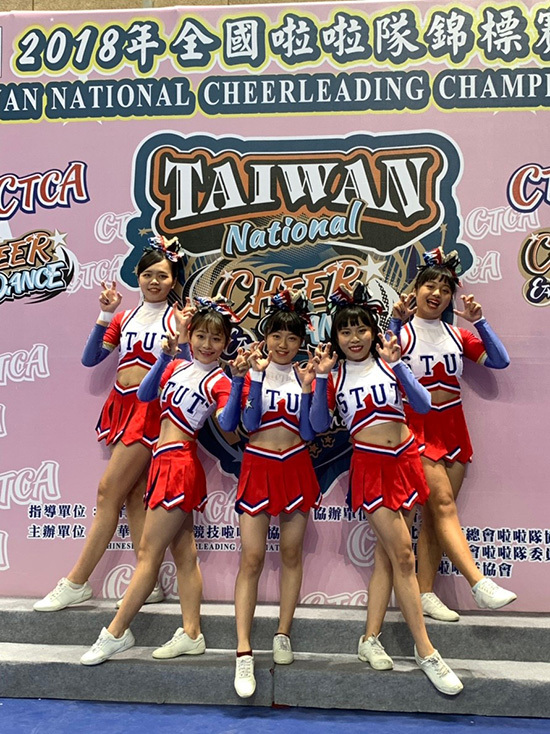 The Competitive Cheerleading Team of Southern Taiwan University of Science and Technology participated in the 2018 National Cheerleading Championships held by the Athletic Cheerleading Association of Taiwan, ROC, at the Taipei City University Gymnasium. It won a number of awards, including first place in the double skill mixed group, second place in the college double skill mixed group, fifth place in the college single skill group mixed group, fifth place in the multi-skill college group, and fourth place in the sixth level open mixed group. 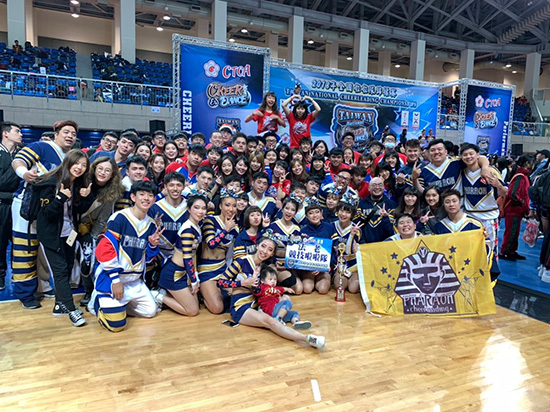 At present, the domestic cheerleading sports are prevailing as the sports show the players' self-confidence, optimism, self-motivation and team spirit. The competition had a two-day schedule, with rich and amazing contents. 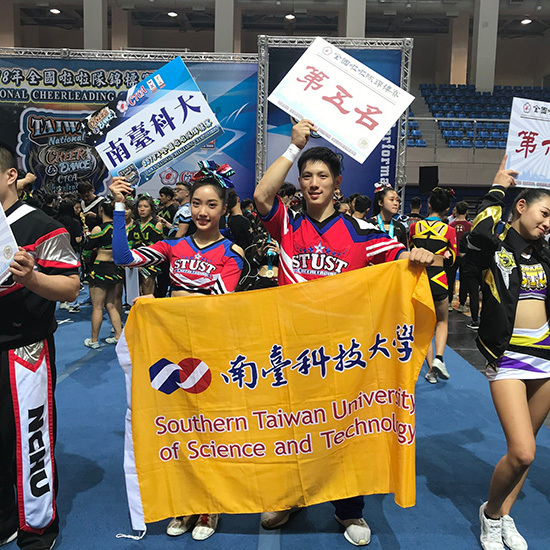 Athletic cheerleaders of the Southern Taiwan University of Science and Technology expressed their special thanks to the school, the coaching staff, and the graduating seniors for their supports. The seniors had been preparing for the enrollment of club members and holiday performances of the club since the start of the school; they also assisted the school in organizing the inter-team cheerleading study and community appraisal. For synchronized activities of the clubs, the contestants also spent their spare time training the various teams, always in a very friendly way. The most valuable thing was that half of the contestants were new students who joined the club this semester. It was not easy to have moved from the team training to the competition in such a short period of time. It is hoped that through the process and experience of this competition, the club can lay a solid foundation for future success. 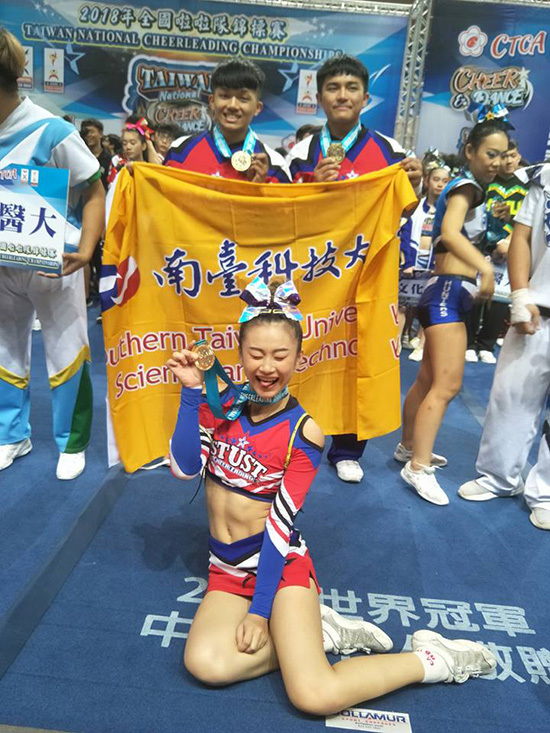 Athletic Cheerleaders of Southern Taiwan University of Science and Technology hired a new coach, Yi-Ting Huang, during the semester. Mr. Huang gave the contestants a lot of new directions and ideas and encouraged the team members to abandon their personal opinions and work together. 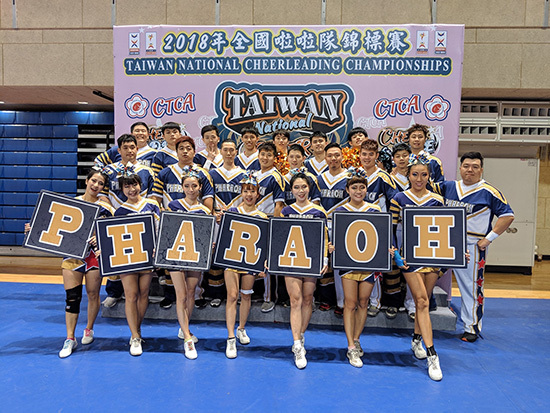 Mr. Huang stated that the athletic cheerleading team of Southern Taiwan University of Science and Technology has entered the competition for seventeen consecutive years since 2011. It is a long-established student club at f Southern Taiwan University of Science and Technology. Although it was hard at the beginning of its establishment, the club has been passed down through the efforts of previous members. Every year they show dazzling performances. It is noteworthy that players continue to love and contribute to the athletic cheerleading team after graduation. In recent years, due to the influence of lower birth rate, the number of students enrolled in colleges and universities has been decreasing, and the number of participants in the club has also been greatly affected. 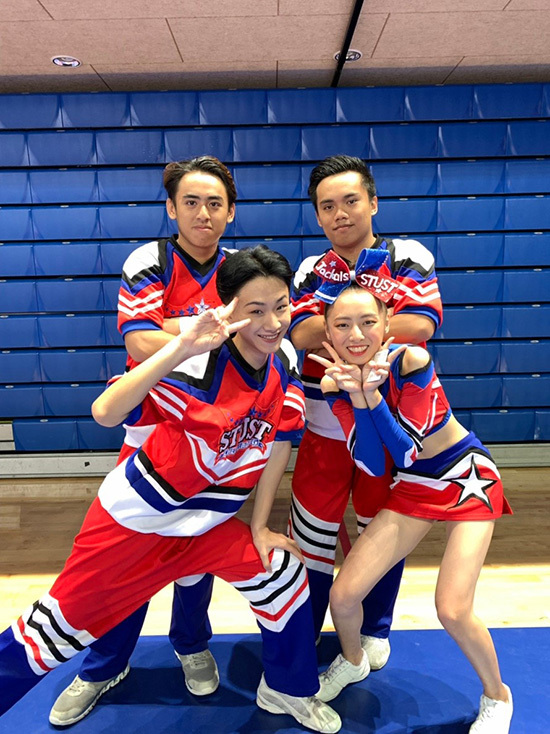 However, the enthusiasm of the cheerleading team of Southern Taiwan University of Science and Technology Athletic has never diminished. 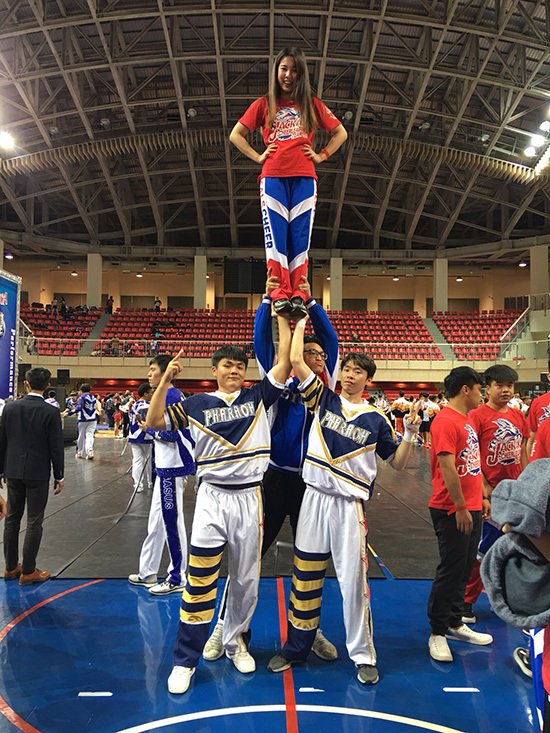 It is expected that the school will promote the Inter-Team Cup Cheerleading Tournament. Under the various support and resources, all the departments of the school can actively invest in it, with more enthusiasm for the celebration of the 50th anniversary of the school next year. 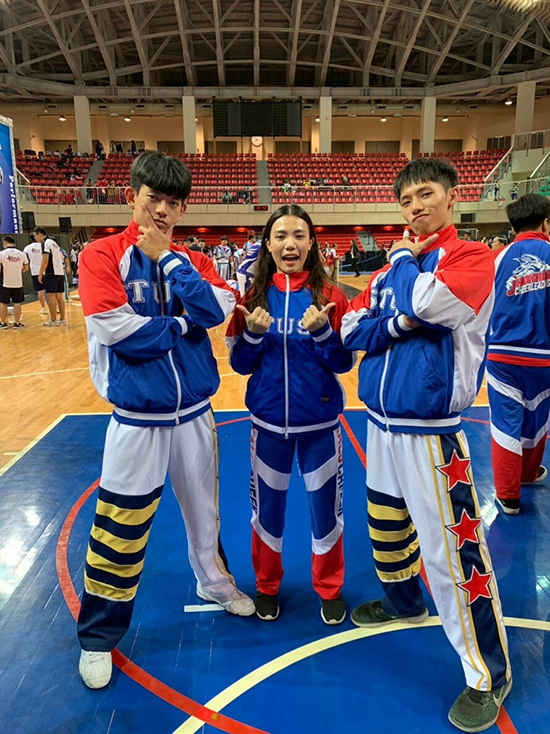 The team looks forward to the enthusiasm of students and hopes that newcomers can continue to join the athletic cheerleading team, taking over this fascinating sport and the spirit of never giving up.